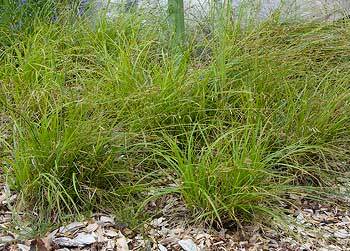 A loosely tufted, spreading, weak stemmed sedge 1′ tall with flat, soft thin blades. Found in moist forests, stream banks and clearings at low to middle elevations. Native to Washington, Canada, and most western and northern states, but not native to Oregon or California.